On Firday August 30th, CrossFit 1850 will be running the “Hotshots 19” WOD during our 5:00 PM class. 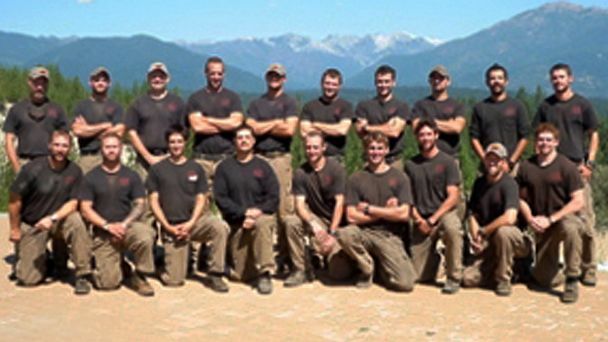 Nineteen members of the Granite Mountain Hotshots firefighting team tragically lost their lives on June 30, 2013 while fighting a fire in Yarnell, AZ. Here is where you can make a donation to support the families of the lost heroes. Your support will be collected by the CrossFit Kids Foundation where 100% of the donations will be distributed to the families. This entry was posted in Events by crossfit1850. Bookmark the permalink.